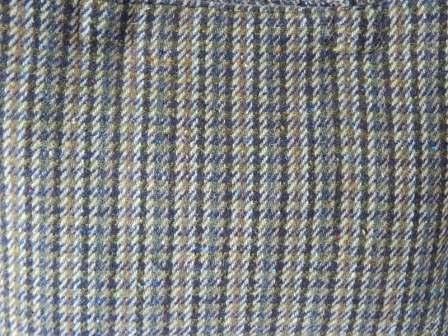 Multi coloured green/navy/brown check handwoven Irish Tweed. Green cotton lining with large zipped inner pocket and smaller patch pocket. Browm leather handles. Magnetic snap closure. Base depth: 13 cms. Base Width: 38cms.